First off is this beautiful baby gym. I know there are many out there to stimulate your baby’s development of hand-eye coordination by letting him/her play. I have heard, that a baby can get overstimulated by too many colours and impressions. 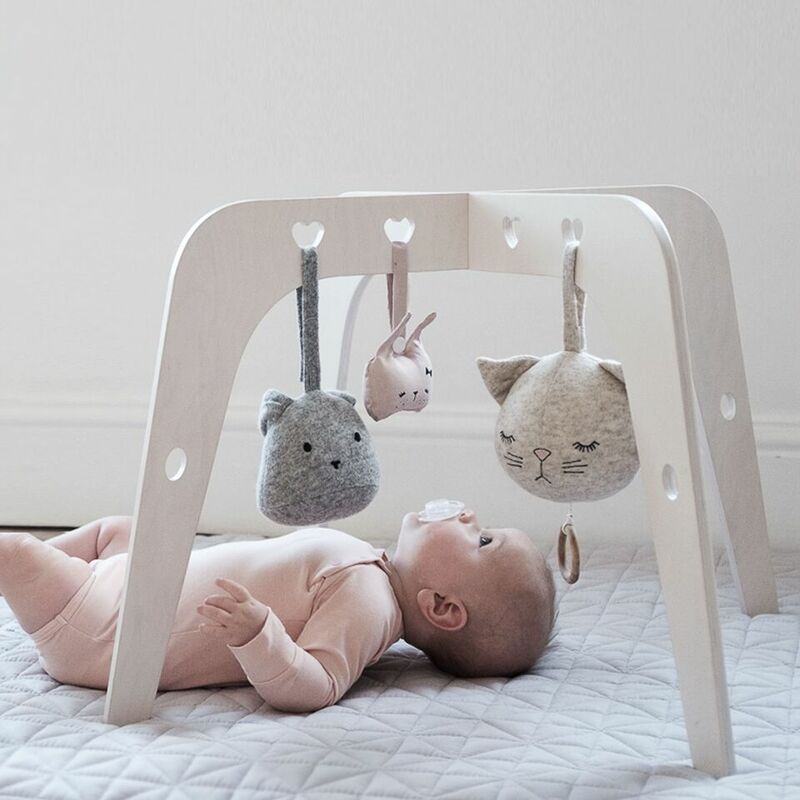 Therefore this minimal, tasteful baby gym would be my first choice! And here you can add the toys you want, and also change to others, once your baby is getting bored of the old ones. To me this is thoughtful design ? The baby gym is designed to be assembled/disassembled in a matter of seconds without any use of tools. Simply pull the two pieces apart and you’re done. No need to remove the toys either. This makes it easier to bring it everywhere with you ? 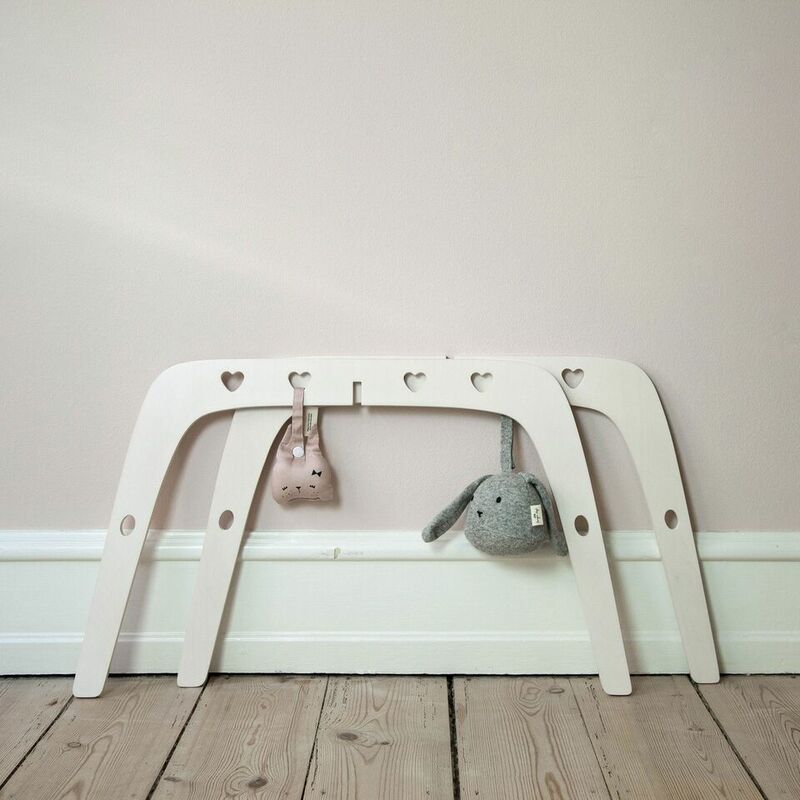 baby gym is a natural product made of white pigmented birch veneer. 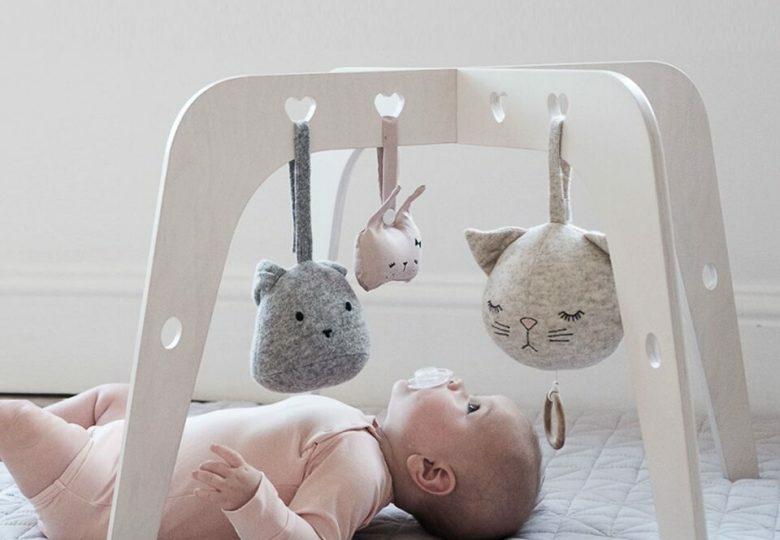 WITH WHITE is a Danish brand designing products to cherish childhood memories and stories. It’s the most precious thing we can own. They create simple, tasteful products that add focus to the kids and their journey.